In today's healthcare climate, physicians may find it difficult to focus on patient satisfaction. Overworked and understaffed, medical professionals may feel as if they are fighting a rising tide of insurmountable issues and that patient satisfaction falls somewhere south of the most important areas of concern. Prior to implementation of the Affordable Care Act, opponents of the mandate feared that a large influx of previously uninsured patients would create additional strain on physicians already working at capacity in their practice. ACAView, a continuing study of the effect of the ACA on U.S. healthcare, reveals that physicians have not been inundated with a large increase in patient populations. However, the report does note that acuity per visit is steadily increasing year-over-year, meaning that physicians are working harder with the patients they are seeing. Meanwhile, the U.S. Department of Health and Human Services reports that as of 2013, the latest year for which there are reports, there were 27.6 physicians in patient care for every 10,000 people in the U.S. In that same year, 49.8 percent of the population had 1-3 health care visits, 23.3 percent had 4-9 such visits, and 11.9 percent had 10 or more visits. When you consider what this means in terms of patient load for the average practice, it is easy to see why physicians may find it difficult to make patient satisfaction a priority. "Improved patient satisfaction not only leads to an enhanced patient experience - something every sick or injured patient deserves - it is also associated with improved treatment outcomes." 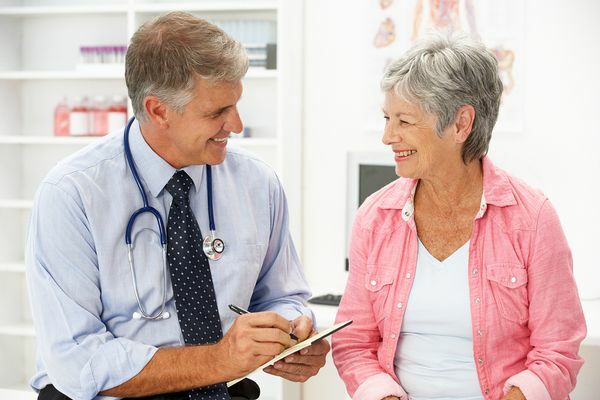 While there are a number of theories about what constitutes patient satisfaction, the general consensus seems to be that patient satisfaction revolves mainly around how the patient perceives the level of care he or she receives and how appropriate the patient perceives the communication provided by medical staff. To the end of measuring patient satisfaction, physicians may employ any number of patient satisfaction surveys and questionnaires. However, it is important to note that simply measuring patient satisfaction via a survey is only useful if it provides actionable information to the physician. "The patients of physicians who have higher professional satisfaction may themselves be more satisfied with their care." "Extensive evidence now demonstrates that burnout and distress undermine not only commitment and dedication among health care providers, but also erode professionalism, reduce quality of care and contribute to medical errors ... Physician well-being is important to both patients and the physicians themselves. Indeed, physician well-being is crucial to the health of our entire system of medical care delivery." Just as patient satisfaction surveys provide insight into ways to improve a physician's practice, the Physician Well-Being Index is a tool to help clinicians understand and address factors that affect physician well-being in a practice. Developed by Mayo Clinic, the Well-Being Index tools are online self-assessments designed to evaluate multiple dimensions of distress among medical professionals. The Physician Well-Being Index is designed to help physicians in your practice achieve personal and professional satisfaction. These tools provide actionable insight for your practice and give your physicians the resources needed to achieve and maintain their well-being, leading to increased personal and professional satisfaction and to improved patient satisfaction as well. To explore all that the Physician Well-being Index offers, feel free to try it now. Access The Demo Account - Try It For Yourself! You will get instant access to the Well-Being Index demo account to test the software as different types of users. We will also send you a confirmation email with the link to the demo account for future access. Transforming the Approach to Well-Being. Shine a light on burnout and increase awareness at your institution. Use the Executive Leadership Summary to share with your colleagues or leadership teams.